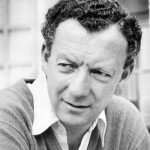 If you’re doing anything for the Britten Centenary celebrations remember that all the songs are available in Charanga Musical School. For interactive whiteboard, they come with backing tracks and many support materials. /friday-afternoons/ … read the rest. Two new Christmas productions: “Little Angel Gets Her Wings” added to FS/KS1; “Five Gold Rings” added to KS2. Theory lessons from Charanga Music World have been added to the Toolkit. They are: Durations; Time Signature, bars … read the rest. Madeleine Casson, Charanga’s National Training Manager, answers some of the most common questions asked at Training and CPD sessions: Where are the KS1 and KS2 Christmas Musicals highlighted in the Charanga Musical School sample school plan? … read the rest. 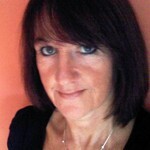 Madeleine Casson, Charanga’s National Training Manager, answers some of the most common questions asked at Training and CPD sessions: How do I make Charanga Music World online learning available to the children I teach? Whichever Charanga … read the rest. 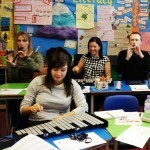 Over 100 training and CPD sessions for Music Service staff and Classroom Teachers representing 58 Music Education Hubs, Music Services and schools, were given by Charanga in September. The sessions were delivered by the Charanga Training … read the rest. 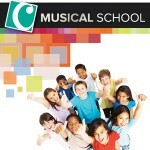 Music World – the wonderful world of online learning for young beginner instrumentalists has been upgraded. It now provides additional levels for the most popular instruments and a solid foundation for the less commonly played but … read the rest. 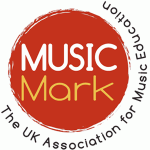 Charanga will be running a Music Mark (previously NAME and FMS) conference workshop in November entitled: Boosting quality between lessons – how to double the amount children practise! To reflect on the real life outcomes from … read the rest. 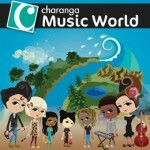 A Teacher Edition of Charanga Music World will soon be available. It will enable any teacher to give access to the fantastic interactive resources to their students, so supporting their tuition and encouraging more practice between … read the rest. Mark Burke represented Charanga at the Rock the House 2013 rock competition awards ceremony held at the House of Commons in Westminster. Bands were nominated by MPs. Examples include: New Infection (Vince Cable MP), The Crooked … read the rest. 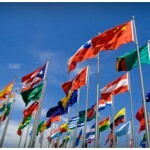 The new National Anthems topic under the KS2 tab of Charanga Musical School contains anthems from nine different countries, many with versions in both English and the native language, along with related resources to enhance learning … read the rest.